We are located in Palmer, Alaska overlooking Pioneer Peak in the Matanuska Valley. Our main interest is the breeding of quality American Warmblood's & Appaloosa Sporthorses. 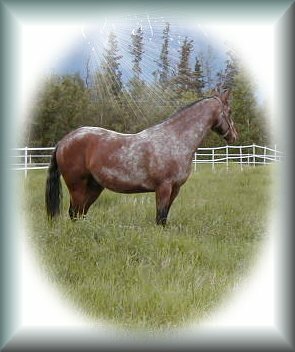 Visit the new stallion to Alaska, X-Static, a very striking and colorful American Warmblood-Appaloosa Sporthorse, out of Wap Spotted. Visit the stallion page for further information about this exciting youngster.